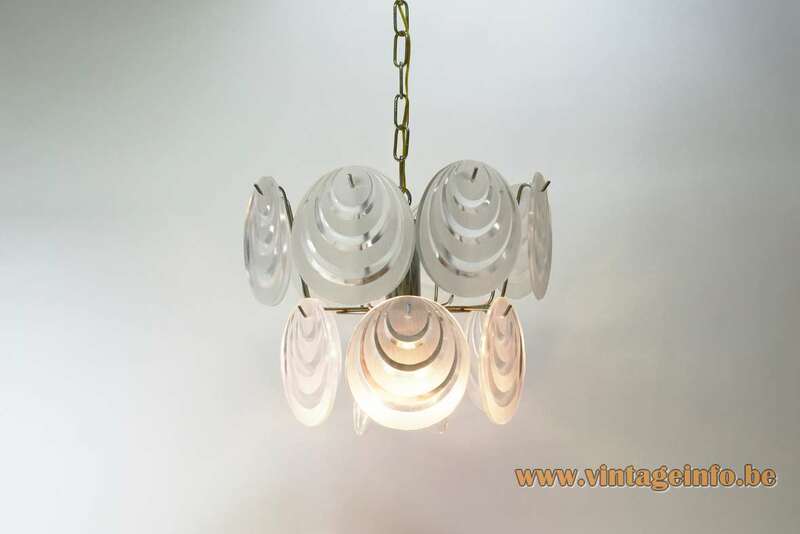 Materials: 14 acrylic translucent discs. Chromed metal frame and chain. 3 silver painted Bakelite sockets. 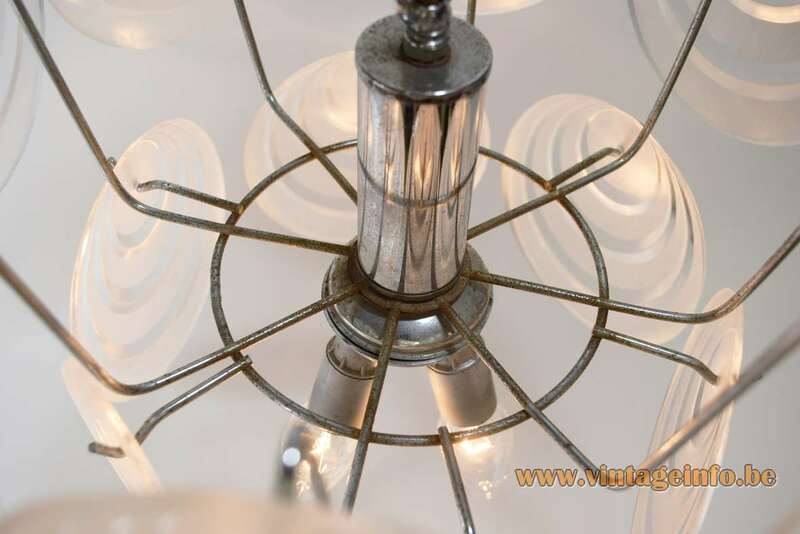 Electricity: 3 bulbs E14, 3 x 40 watt maximum, 110/220 volt. Designer: Made after a design by Gino Vistosi (1925-1980). Other versions: Made in many variations, more or less discs, bigger or smaller frames, made in many colours and many designs. All made of acrylic. 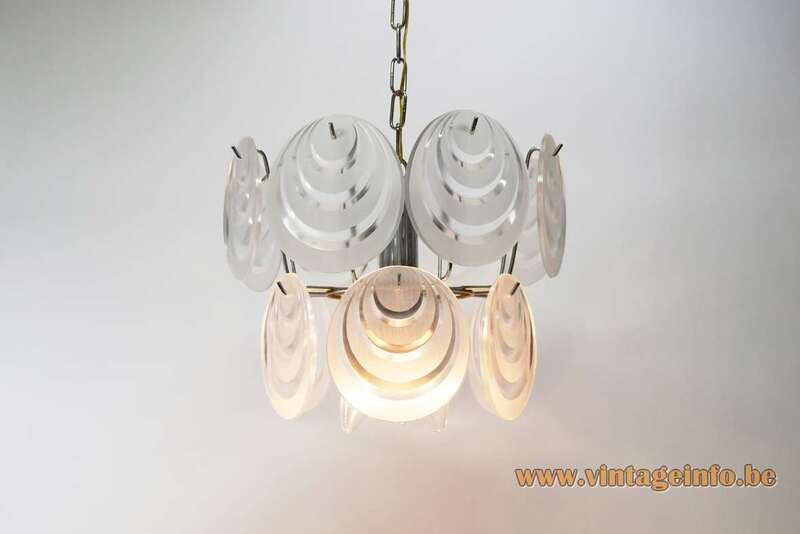 Inspired, to say the least, by the famous crystal glass discs chandeliers that were produced on the Venetian island Murano in Italy in the 50s, 60s and 70s by several companies such as, among others Vistosi and AV Mazzega. Aro-Leuchte GmbH was founded in 1969 as a family business. It ended business in 2006. Not much to be found about the company. 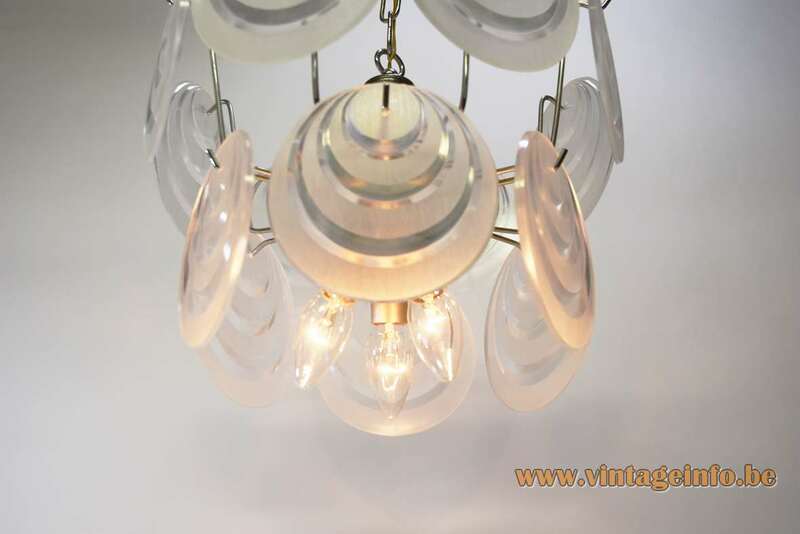 The company made many copies of glass lamps, but they made them in plastic or acrylic. They also produced many floor lamps. 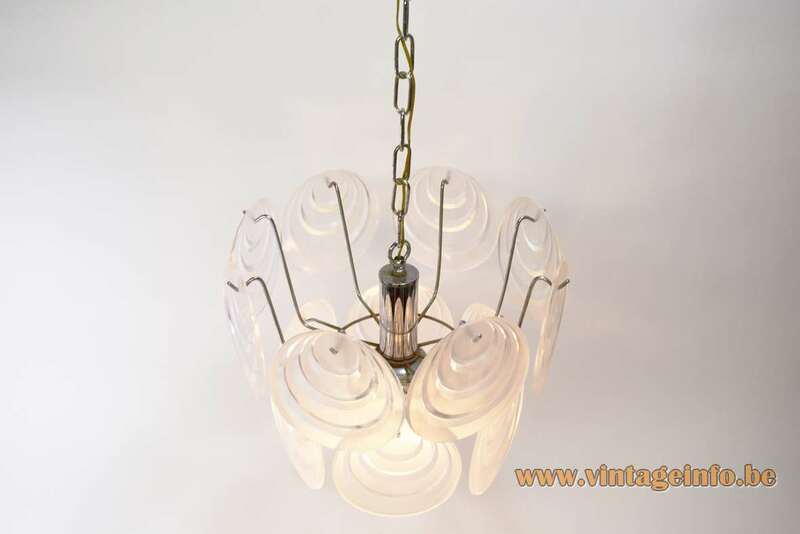 You can find several examples here on Vintageinfo. 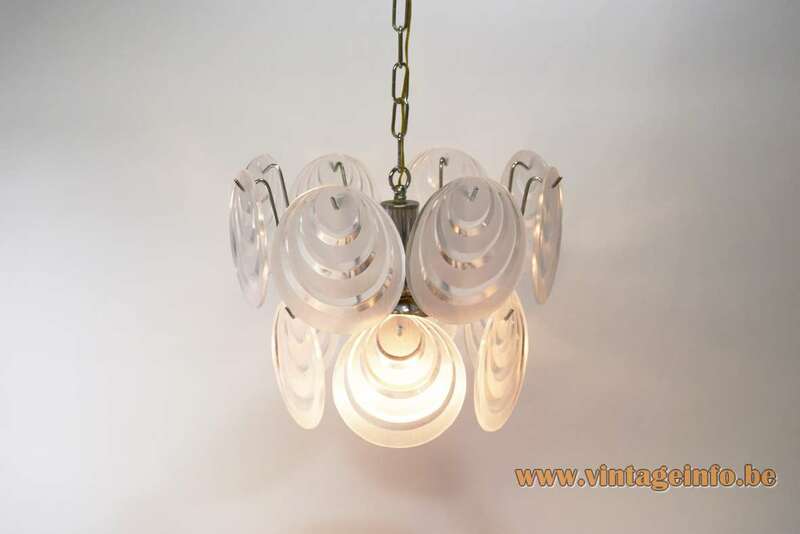 Many lamps were designed by other companies in the 1950s and 1960s. Aro-Leuchte produced the plastic versions in the 1970s. Today, the Aro-Leuchten website is offline. The url was www.aro-leuchten.de. Mister Matthias Arnold was the managing director. The company used both Aro-Leuchte as Aro-Leuchten on their labels. The website was also with the N.